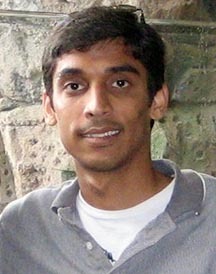 Molecular biologist Karthik Krishnan is a post doctoral fellow at the University of Cincinnati whose work investigates the functioning or organelles and pathways in bacterial and fungal cells and how they might contribute to the pathogenesis of diseases in humans. Here he talks about his debut experience as a problem solver with IdeaConnection and the drive to get results in the lab. I have discovered a couple of fungal pathways that we have studied in our lab and found that they contribute significantly to AIDS pathogenicity. When we make those pathways non-functional, we find that they cannot cause a disease any longer in our mice. So eventually what we want to do is try and screen for drugs that can target those pathways because currently we are in the fourth generation of drugs for fungal diseases, which is a major issue in immune compromised patients, like HIV patients. We do need to hurry up on finding newer drugs for fungal diseases because in the world right now there's a lot of drug resistance going on. So keeping ahead of the game is important so we don’t get caught by surprise when a new drug resistance shows up. Having something on the horizon is important so translating what we have discovered into a drug is what we're trying to do. I'm interested in the sense of urgency here. Do you actually feel that pressure when you're working in the lab, that wider societal pressure to come up with an answer to combat something as problematic as drug resistance? Not in everyday work, but there are conferences we go to. There are meetings we attend and when we meet people and we discuss what's going on in the rest of the field, that's when you sort of realize that there are these things happening and there is an urgency, and what we are doing is relevant. And of course when you try to write grants to get some money... usually we will not get funded if we are not working on a current issue. The answer to that is the money, but in addition to that is the fact that this is a very novel approach to solving problems rather than depending on employees. Plugging into expertise from different people and putting a team together and solving issues I thought was pretty novel and I thought I could contribute. What challenges have you worked on so far? I have worked on only one so far which had three first-timers and two people who had worked on issues before and it was a very rewarding experience in general. What did you find rewarding in particular? Getting to know people who were participating. With so many diverse backgrounds and sitting down and beating the issue out on an online forum just impressed me. How did the Facilitator help in this process? She was more of a moderator than a Facilitator because sometimes the conversation would veer off into what I would call unproductive areas. Having the Facilitator there cut the conversation short and kept us focused on trying to get things done in the time we had allocated. I think that part was very critical for me because my time was limited. What are your thoughts so far about working with IdeaConnection? I wish they worked more on projects that I can contribute to, of course it's not in their hands, they depend on other people to come to them with problems but in general I find the attempt to bring different expertise together to solve issues is quite impressive to me.